This Gator knife is a sturdy lockback folder with Gerber's legendary Gator Grip. 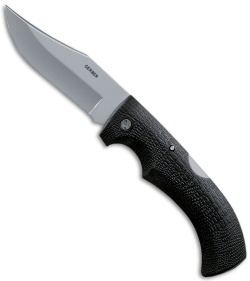 The matte finished clip point blade has a fine edge and is forged from 420HC stainless steel. The handle is made of glass-filled nylon with steel liners and lockback mechanism. The Gator features a rubberized alligator skin texture rubberized overmold, which has proven to be an extremely comfortable and slip-resistant handle material. 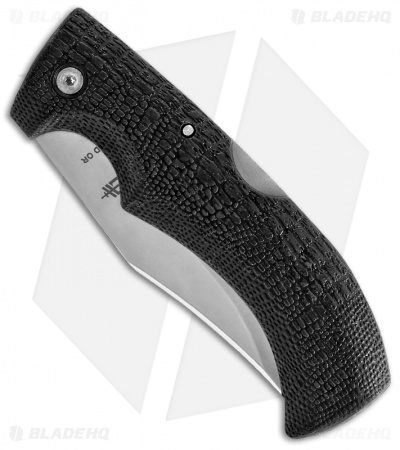 The Gator Folder comes with a heavy-duty nylon sheath. It's been over 20 years since Gerber's Gator folding knives won "Most Innovative Knife of the Year" at Blade Show, but these tried and true folders are still one of their most popular folders!